Leeks make soup in cold weather. Leek seeds are on sale. Sometimes things fall into place and motivation sprouts. Stringy, little, pale sprouts of motivation. Other sprouts get picked off by the chickens before they even break ground. 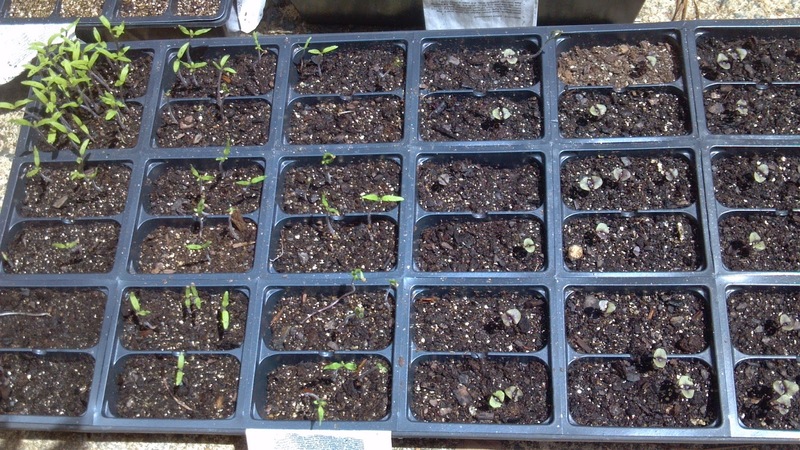 So I took the seed trays to the 'burb and put them on the patio. The no-chicken patio. The boys set up the little greenhouse that I still can't figure out a use for, but it's cute. And I went on the internet to order a packet of red romaine seeds. 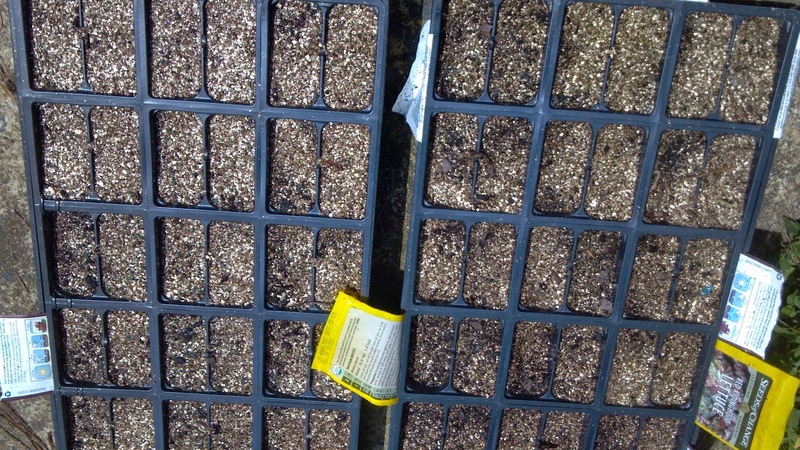 Dumped the old seeds into the corner container. 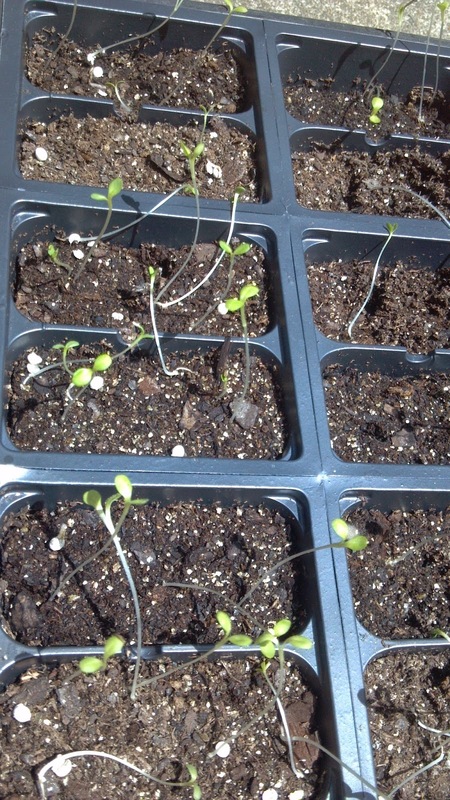 Planted some less-old seeds more carefully. Lets be clear: shallot seeds have never grown for me. But leeks didn't either until last year and this year they have already sprouted! The romaine seed tray was in the farm house kitchen to keep the chickens from eating them a second time. The cat took this on as HIS challenge and peed on it repeatedly, right beside his food bowl!?! Who knew romaine was so popular? I forgot about it and a week later... here it is. It's doing pretty well! I might forgive the cat for peeing on this since it's been in the dark for a week and didn't get watered, except...you know. The leggyness is from not enough sunlight. Plant lesson for today: Leggy plants always mean not enough sunlight. 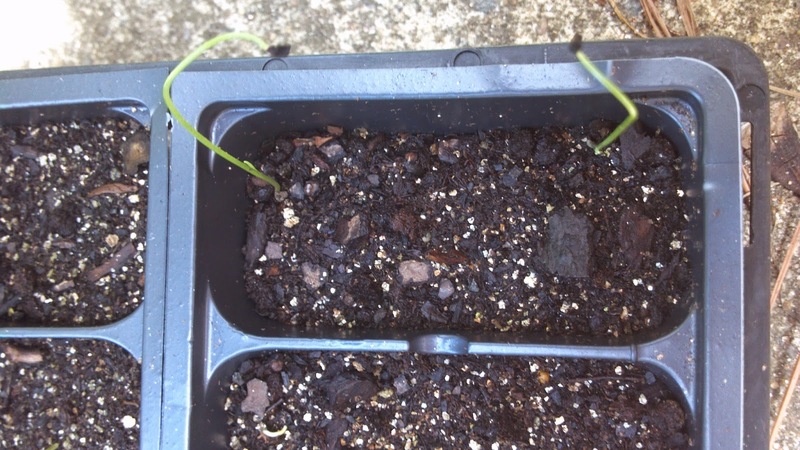 They will be transplanted when they have a small bundle of leaves and their roots hold together. I'll plant them up to their leaf bundle because lettuce is a tap root. The 'stem' below the leaf bundle is part of the root. Fall is calling! Go git ya some seeds!